How great is the new primary sources guide available through USF Library? So great that we’re releasing it to you before it’s completely finished! Currently available section include U.S. history primary sources by date (from about 1600-present) and by region, sources by type and sources by person. The sources by type and by person are still very much works in progress and will be continually added to as the content is organized. Additional pages for international resources will also be coming shortly. If you have a favorite primary resource you’d like to see covered, or if you have a research topic and are wondering about the existence of a primary resource collection on that topic, please contact Lisa. Fresh from the cutting room are two new video tutorials to help you better use the library and its resources. The first, Registering Your Barcode/Activating Your Library Card, explains where to find the form that many distance students, and some on campus students need to have their library cards activated in the library’s system. Without a registering for a barcode, students are unable to borrow books from USF or other I-Share libraries. The short video explain in two simple steps where the barcode registration form is on the USF Library website, and what to expect once you have completed the form. The second new video at USF Library is designed to walk users through setting up an account within I-Share, which will allow you to borrow items from other I-Share libraries. Even if you’ve borrowed books through I-Share previously, you will still need to create a new account, as the account system they use has changed over the summer. More videos on how to best use the library’s resources are on their way. Keep your eyes out for them, and let us know if you have an idea you think should be made into a video tutorial. One of the most common questions we get at the reference desk is how to tell if a journal article is peer reviewed or not. To help you detemine whether an article has undergone a peer review process when we aren’t around to answer your questions, we have created the What Is Peer Review? Guide. This guide contains information explaining exactly what a peer reviewed article is, how to tell scholarly, trade and popular periodicals apart and has a screenshot tour to depict how to limit to peer reviewed journals in some of the more popular databases. Check out the new What is Peer Review? guide now! A new print tutorial from USF Library lists where statistical information on topics related to the health care field can be found online. These sites have been checked for validity and timeliness and are considered to be some of the highest quality statistics sites freely available online for the health care field. A new print tutorial from USF Library highlights where online you can locate high quality health guidelines and best practices for an evidence based practice. All resources are available on the Internet and will be available to you once you leave USF and begin working as a health care professional. A new video has been posted explaining two ways to find systematic reviews in PubMed in two simple steps. PubMed also searches the Cochrane Collection of Systematic Reviews, which means one search allows you to search two different databases. View the video “Locating Systematic Reviews in PubMed” or visit the Video Tutorials page to see other helpful guides in using the library’s resources. Have an idea for a video? Let us know! One of the most frequent questions we receive at the library is how to use the Find It button. We have developed a short video that explains what Find It does and does not do, how it works and its three main uses. A basic explanation of Find It is included below; if you would like a more thorough version, check out the video tutorial. Automatically checks from the databases to see if an online access point is available to an article in your library. Offers to check the library catalog for a print copy of the journal. Simplifies Interlibrary Loan requests by filling in the article information for you. Does not ever link to directly to the full text of an article, rather it shows you places where you can access the full text. You can view this video, along with many other library service videos at the Video Tutorial page available from the USF Library Homepage. Two new video guides were created this week to help you get the most out of the USF Library databases. Both videos are very short and explain step by step how to complete each task. 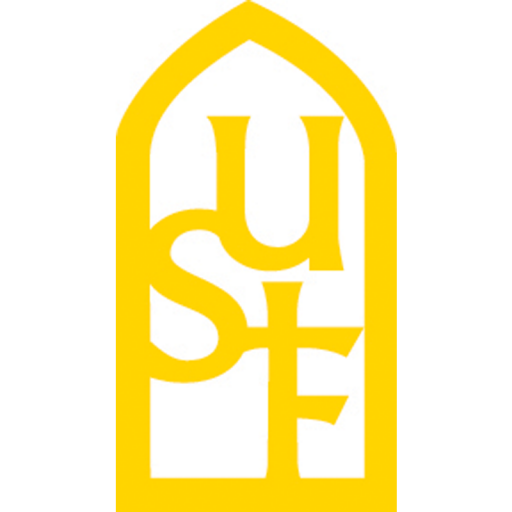 Have an aspect of the USF Library that you would like explained in more detail? Contact your instruction librarian, Lisa Quinn, to see if your topic can be made into a video guide.